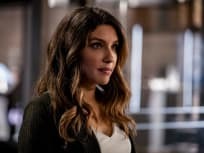 On Arrow Season 7 Episode 18, Laurel found herself at odds with everyone when the truth about her past was revealed. Watch the full episode online. The women have what seems to be a final hurrah as Arrow Season 7 Episode 18 reins in the Lost Canary. Was Laurel redeemed? Find out inside. 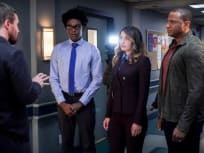 On Arrow Season 7 Episode 8, Diggle and Lyla continue to look into the Dante painting that Curtis found while Felicity stands by her decisions about her family. 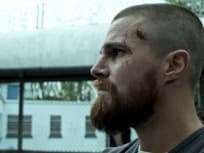 On Arrow Season 7 Episode 7, Oliver must make a decision that will affect the rest of his life, as well as the lives of everyone he cares about. 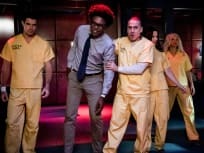 On Arrow Season 7 Episode 6, Laurel steps in to flex her muscle with the District Attorney when a death rocks Slabside, while Felicity gets help in finding Diaz. On Arrow Season 7 Episode 5, Felicity learned a stunning secret that Oliver was keeping from her, and had to make a decision about the future. 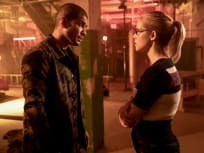 On Arrow Season 7 Episode 4, Oliver makes a drastic move in his search to find Diaz, while Felicity pulls out all the stops to hunt down Diaz. 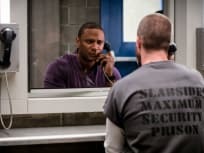 On Arrow Season 7 Episode 3, Diggle asks Curtis to go undercover for ARGUS, while Oliver faces his biggest challenge while still stuck in prison. 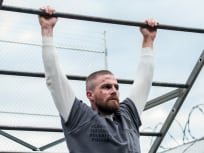 On Arrow Season 7 Episode 2, Felicity attempts to root out Diaz while Oliver has to align with an old enemy in order to track him down from inside prison. 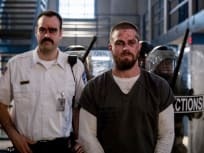 On Arrow Season 7 Episode 1, Felicity visits Oliver in prison with a brand new look, while the team continues to find a way to continue without him. It makes sense now why there is a new Green Arrow out there, because the old one is a coward. Permalink: It makes sense now why there is a new Green Arrow out there, because the old one is a coward. I love you and I will always, always wait for you but I can't let what happened to William and I happen again. I can't. I have to fight back. You of all understand that.